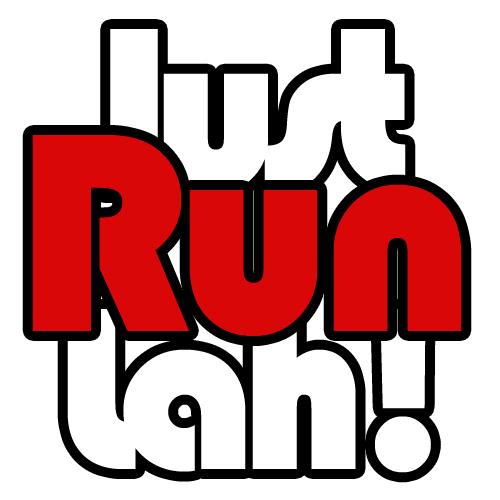 From Road to Trail: Distance Running Tips For Making The Leap | JustRunLah! There are two potential responses to the task of transitioning from long distance road running to long-distance trail running: some people underestimate it, thinking that there isn’t really all that much of a difference, it’s still just running. Whilst others exaggerate the size of the task in their minds, viewing it as a seriously demanding transition. In truth, you ideally want to be somewhere in the middle: well prepared and researched but safe in the knowledge that if you were a good road runner, you can become a trail runner. To that first point, here are a few tips to make sure that you are well researched when taking on the task of making the leap from one to the other! It’s a good place to start, since, despite the huge array of exciting gizmos there are to help long distance runners, they’re really the only bit of kit you truly need. Now, you want to be specific with your shoe choice. A lot of trails can actually be run perfectly happily in good road running shoes. That being said, there are a lot of other trails where road shoes will be unacceptable. If you’re running on jagged or slippy rocks or anywhere near water or mud, you’ll need the increased traction offered to you by trail shoes. But for forest paths and the like, save your money! Ajay Robles, sports writer, says that “It doesn’t matter how good your shoes are… the time will come when you take a tumble. The key is not to fear it to much. Don’t let it hold you back from giving a good performance.” Don’t be reckless of course, but naturally, during potentially hours and hours of running you are likely to trip. It’s all part of it, so just embrace it and maybe carry some Band-Aids! Your course time will be slower. It’s pretty obvious why that is, it’s just harder running through natural uneven landscapes with so many variables than it is running along an LA bike path. So, examine the differences, work out where you lost time but never be discouraged by being a bit slower than you normally would be on road. All runners fear twisting an ankle. It’s so easy to do and it can actually set you back a lot, or potentially pull you out of a race. “Trail racing is actually really good for strengthening your ankles”, says Lela Greig, running blogger. “There is so much movement required of you on trail which isn’t on road, so it can really build up your tendons and ligaments.” But, naturally, there is also a greater risk of rolling your ankle. So, do some ankle exercises when you work out regularly, it’ll really help to offset the risk, and it’ll make you even more sure on your feet if you go back to road running later. Lifting your feet requires extra effort which, late on in a race, can be really hard. But, whereas on road you can basically shuffle along and there is no risk at all, in trail running you are in big trouble if you barely lift up your feet. Your chance of going down increases hugely and it actually matters most when you are most tired, since taking a fall then can spell the end of your run. If you have to run slower, fine! 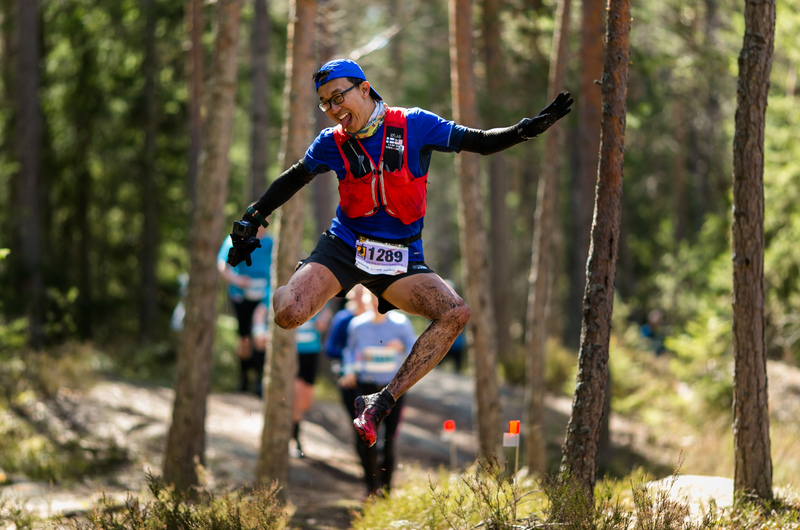 The excitement inherent in starting out with trail running can make you want to jump into dashing through pools of water and leaping from rock to rock. If you haven’t done it already, you’re not ready for that, believe me. Start with a nice wide path trail and work your way up. So, There You Have It, it’s not too hard, it just requires forethought and patience. The most important thing is to just enjoy it. It’s more interesting than a road run and the scenery that flies past as you run should be appreciated and admired. You may even find it easier to run longer distances, inspired by your surroundings and the sense of adventure. So, off you go!